Swarup Wood is Professor of Chemistry and Chair of the General Education Faculty Learning Communities at California State University, Monterey Bay. The authors--a once-skeptical chemistry professor and a director of assessment sensitive to the concerns of her teacher colleagues--use a personal voice to describe the basics of outcomes-based assessment. 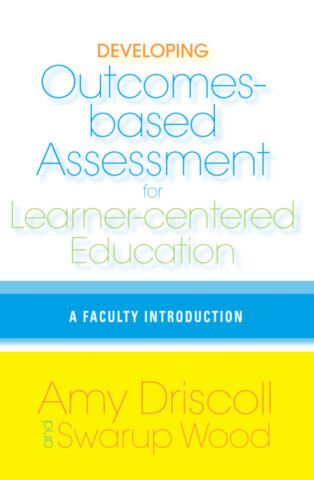 The purpose of the book is to empower faculty to develop and maintain ownership of assessment by articulating the learning outcomes and evidence of learning that are appropriate for their courses and programs. The authors offer readers a guide to the not always tidy process of articulating expectations, defining criteria and standards, and aligning course content consistently with desired outcomes. The wealth of examples and stories, including accounts of successes and false starts, provide a realistic and honest guide to what's involved in the institutionalization of assessment.